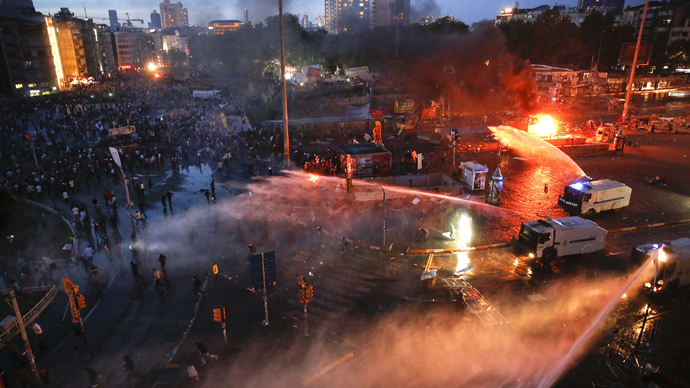 Activists in Istanbul have pledged to continue their occupation of Gezi Park, defying calls to end protests. Prime Minister Tayyip Erdogan has halted plans to redevelop the park, but activists say they will carry on protesting ‘injustice’ in Turkey. The hundreds of activists who have entrenched themselves in Gezi Park for the last two weeks have flatly refused to withdraw from the city center. Erdogan, who has been the target of many of the protests, said plans to develop the park would be halted and put to vote in a bid to shift the demonstrators. 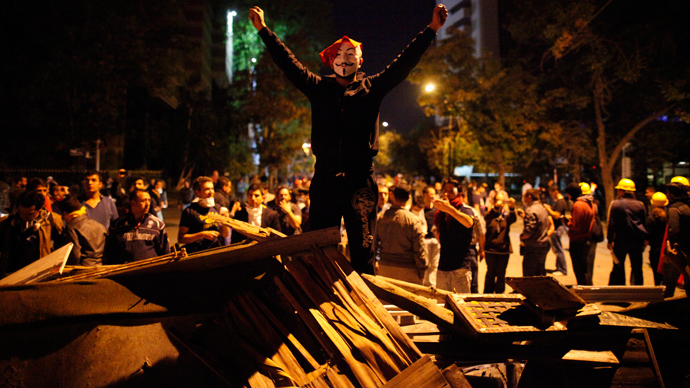 The move was seen as a significant concession from Erdogan, however, protesters said the occupation was about more than just protecting the site from demolition. "We will continue our resistance in the face of any injustice and unfairness taking place in our country," the Taksim Solidarity group said. Protesters have criticized what they view as Erdogan’s authoritarian approach to government on a number of occasions, some even calling for his resignation. 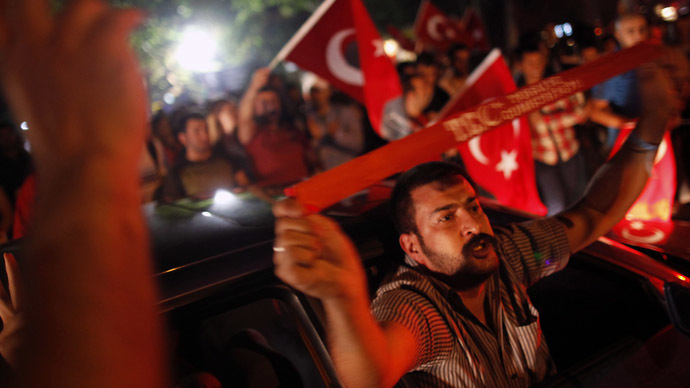 Despite the promise of continued resistance, protesters agreed to remove barricades standing at the Gezi Park entrance from Taksim Square, the Turkish daily Hurriyet reported Saturday. The activists, united under the banner of the Taksim Solidarity Platform”, further agreed to remove their tents “in order to make more room and organize Gezi Park.” The sit-in demonstration will reportedly continue with one common tent for all 116 organizations taking part in the civil action. The park will also be cleared of banners baring the logos of various political parties and other organizations. The Taksim Solidarity group met with Erdogan and other government representatives on Thursday, voicing concerns that no concrete steps had been taken to probe the deaths of three protesters and one policeman in the unrest. The group also demands that all those detained in the protests be released. 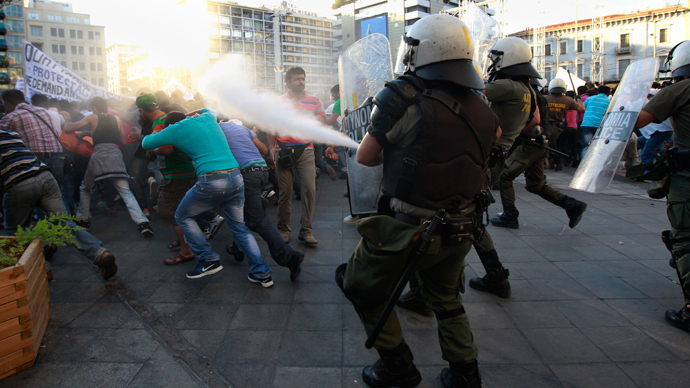 The protests were initially triggered two weeks ago when a protest against the destruction of part of the square for redevelopment were brutally dispersed by police. 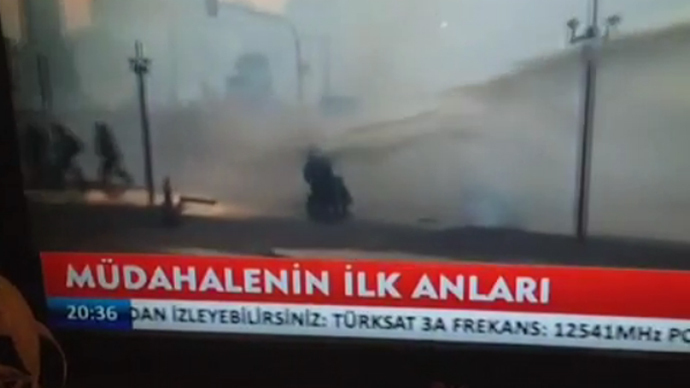 Meanwhile, in Turkey’s capital, Ankara, activists and police clashed on Friday night. Officers dispersed demonstrators with water cannons and tear gas, arresting around 30 of them. Erdogan’s announcement that he would put the development of Taksim Square on hold marks a dramatic change in his previously unbending policy towards the activists. He had previously denounced the participants in the unrest as “vandals” and “extremists,” calling for an immediate end to the movement. The Turkish Health Ministry has launched a probe into those doctors who provided medical aid to some of the 7,500 injured in the protests. The government body has called on the Turkish Medical Association (TBB) to hand over the names of the doctors and their patients. “Recently we were inspected by the Ministry of Health, they said what we were doing here is wrong. But there could be no punishment for those who are helping people. There is no such religion or law that could discriminate against us,” Abtullah Cengiz, spokesman for the Gezi Park doctors told RT. In addition to health care professionals, lawyers have also fallen foul of the Turkish government. On Monday around 50 lawyers were arrested for denouncing the heavy-handed police tactics used against the Gezi Park activists. The Observatory for the Protection of Human Rights denounced the move and expressed their “deepest” concern over the situation in Turkey. The crackdown on doctors and lawyers by the Turkish authorities is nothing unique, journalist Austin Mackell, who's extensively covered the unrest in the Arab world, told RT. “To see lawyers and doctors and journalists targeted as a way of sort of cutting the protest movement off its necessary support systems is very common,” he stressed, remembering the 2009 rallies in Iran and the event in Egypt in 2011 and 2012. According to Mackell, such actions by the Turkish police will have “a completely counterproductive effect” as the Taksim Square protestors, which – he believes – lack a “clear and positive vision”, will gain rallying force from opposing brutality and oppression by the government. “They didn’t have a good reason to protest before – they do now,” he explained.